Wylfa is a power station on a 20.79 hectare site on the north coast of Anglesey between Holyhead and Amlwch. Construction of Wylfa power station and its reactors, the largest of their type, commenced in 1963 and started supplying electricity to the grid in 1971. 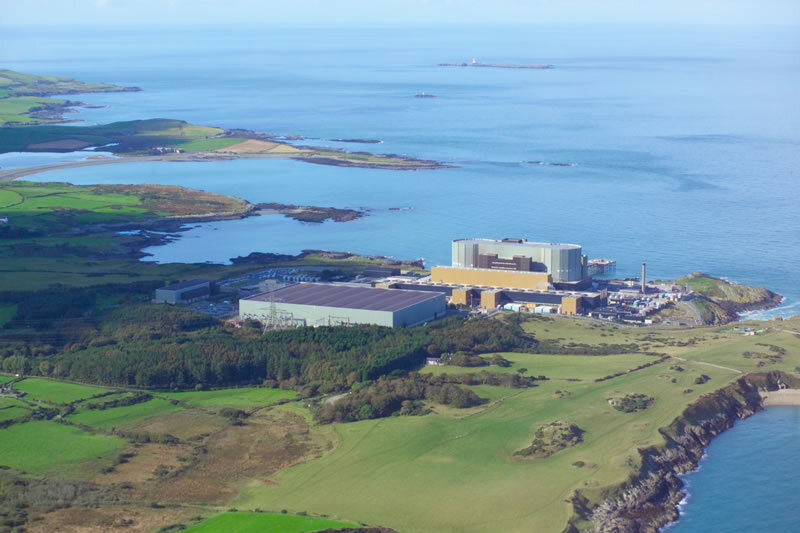 On 30 December 2015, Wylfa Nuclear Power Station closed down. The site had only one running reactor and two operational turbine generators, but with an output of around 460MW which could supply more than 20 per cent of Wales's electricity needs. Wylfa is also responsible for the 30MW Maentwrog hydroelectric station near Blaenau Ffestiniog. The power station is now in the defueling phase, the start of the power stations decommissioning programme.